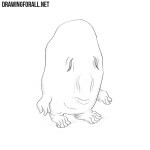 As we said in the previous drawing lessons – the world is full of different legends and myths, which tell about the most different monsters and mythical creatures. We have already drew an incredible number of different creatures and monsters, and we are not going to stop. 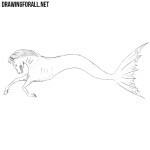 The current lesson will show you the collective image, and is called how to draw a mythical creature. 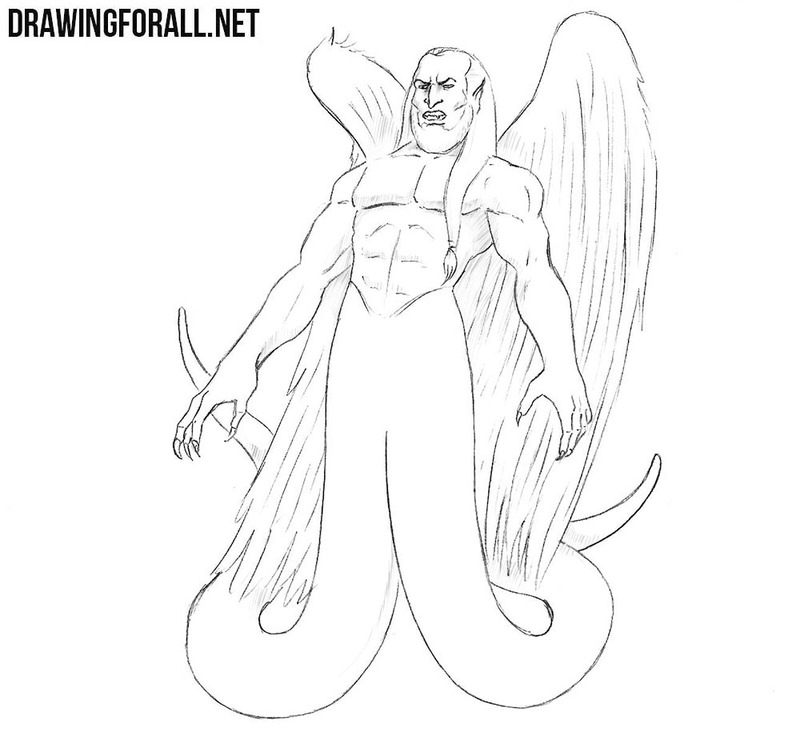 We decided to draw a creature with wings and two tails instead of legs. So we are sketching a simple human skeleton (such we drew almost in all our lessons about people), but instead of legs, draw strongly curved lines that later become two tails. Now, using simple geometric figures, outline the shape of the torso and arms. 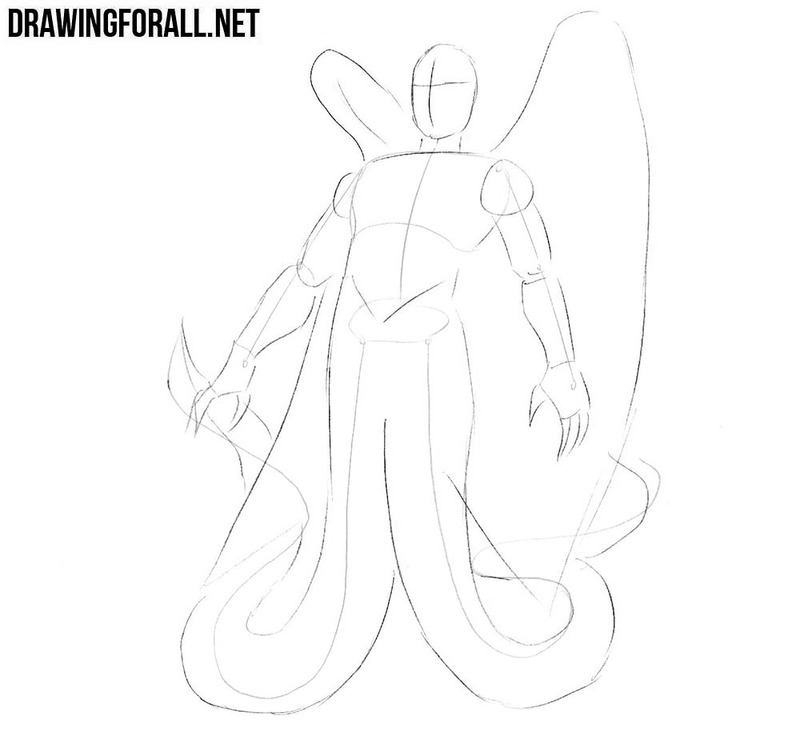 Next, we sketch out two thick and long tails and two large wings behind the back. A very unusual creature, is not it? Carefully draw out the eyes and frown eyebrows. Next, draw out a pointed nose and a half-open mouth with sharp fangs. Draw out the shape of cheekbones, wrinkles and remove unnecessary guidelines from the face. 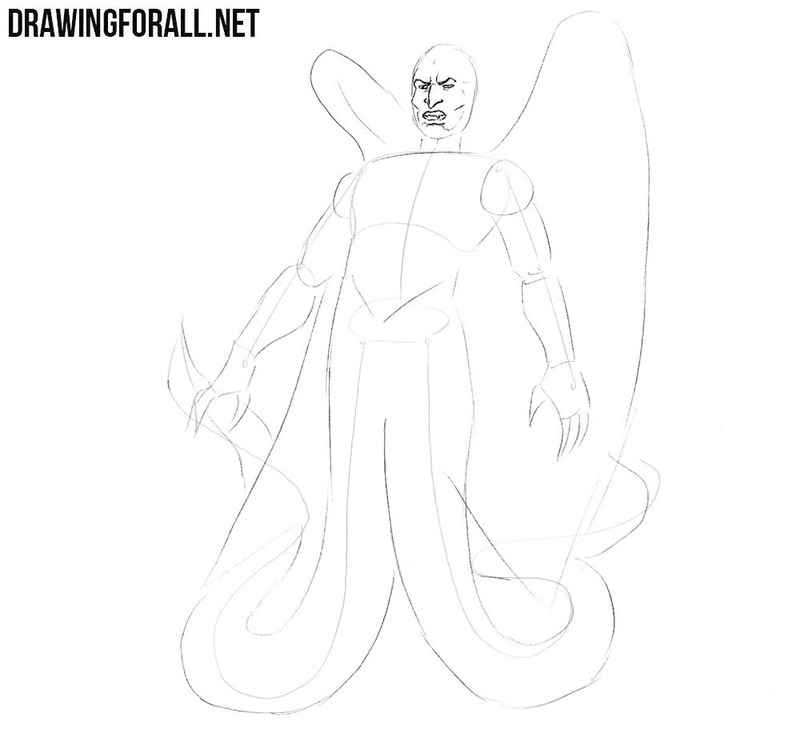 In this step, we finish drawing the head of our mythical creature. Gently draw out the hair. Next, draw a large beard, as in our example. Don’t forget to delete all unnecessary guidelines from the head. 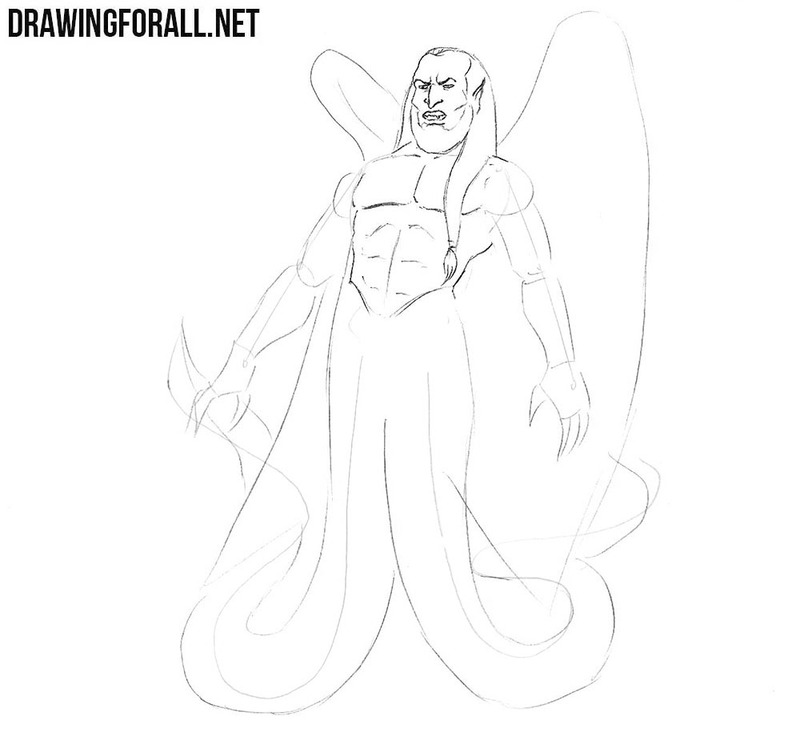 Now we will move a little lower and begin to drawing details on the torso of the mythical creature. 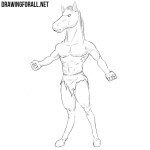 Draw the large pectoral muscles, the outlines of the torso and the abdominals. Now let’s work with the arms. According to the tradition of all creatures from myths, fantasy and legends, our beings should have large and powerful arm muscles. So draw the outlines of the muscles and large palms as shown in our example. Now let’s deal with the lower part of the character’s body. 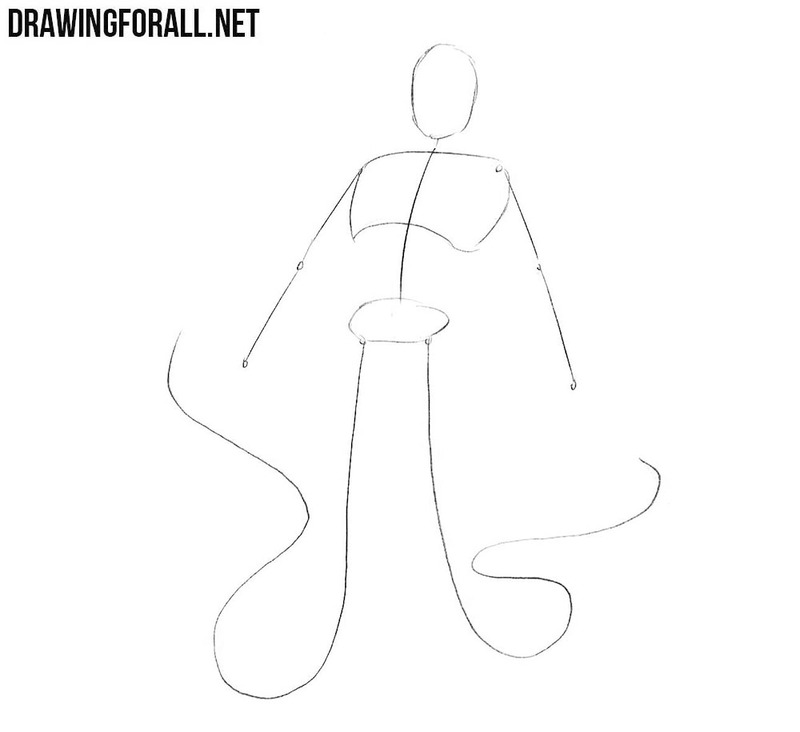 Here we will draw two tails, which are located on the place where the legs should be. To do this, use long, smooth and curved lines. 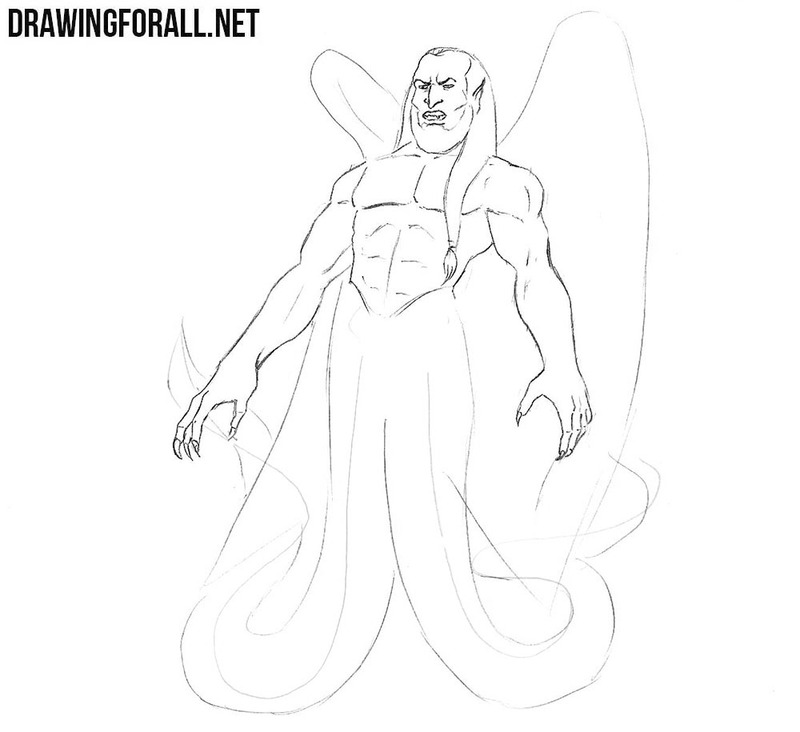 This step will complete the drawing of the character’s body, but will not complete the lesson about the mythical creature. 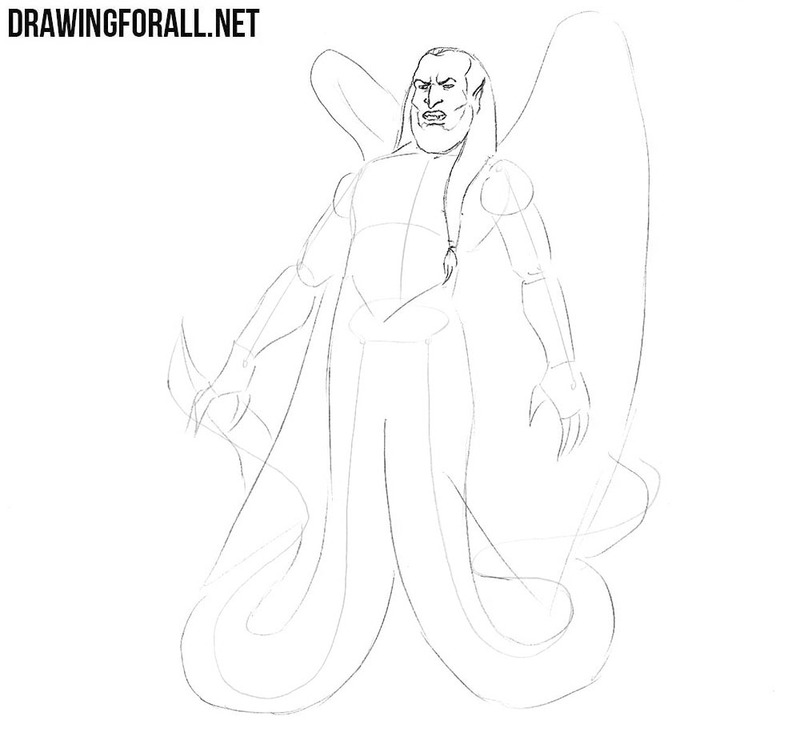 Here we will draw the character’s wings. To draw feather lines as in our example, use long and light lines. Now we will draw shadows. They are drawn in a rather realistic style. In order to make such shadows, use dense hatching. 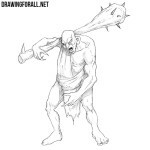 Or you can draw dark and contrast shadows like in our drawing tutorials about comics. 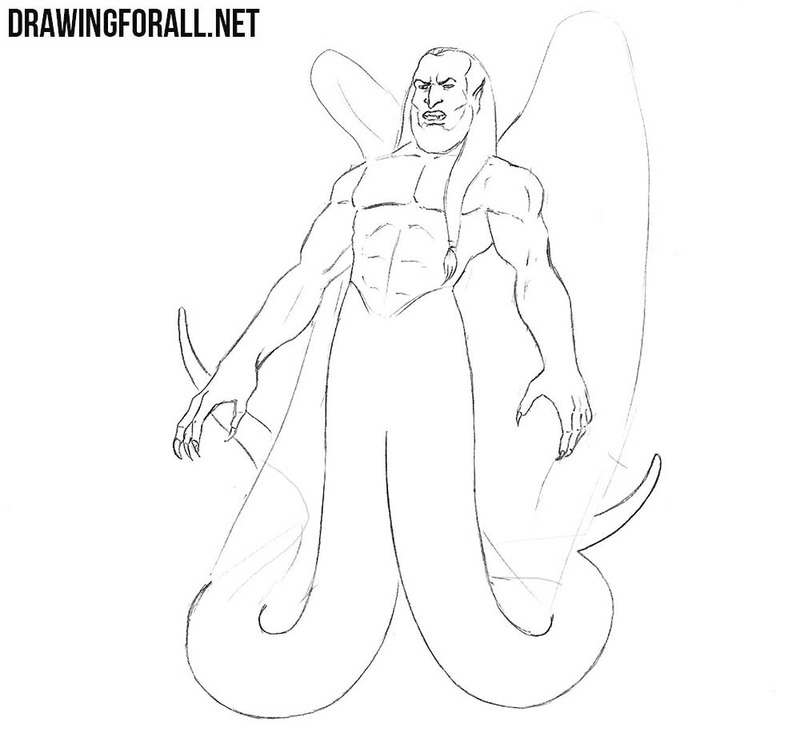 In this lesson we drew a collective image of a mythical creature, so that using the tips from our lesson you could draw those characters you want. Also do not forget that we take into account your wishes, so write us the topics of new lessons here or on our pages in social networks. What is 2 x 3 x 9?